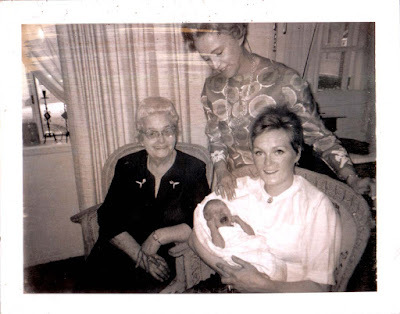 Not sure how many days I am old in that first photo, but I'm sure it's not many. Funny the things we remember about childhood. 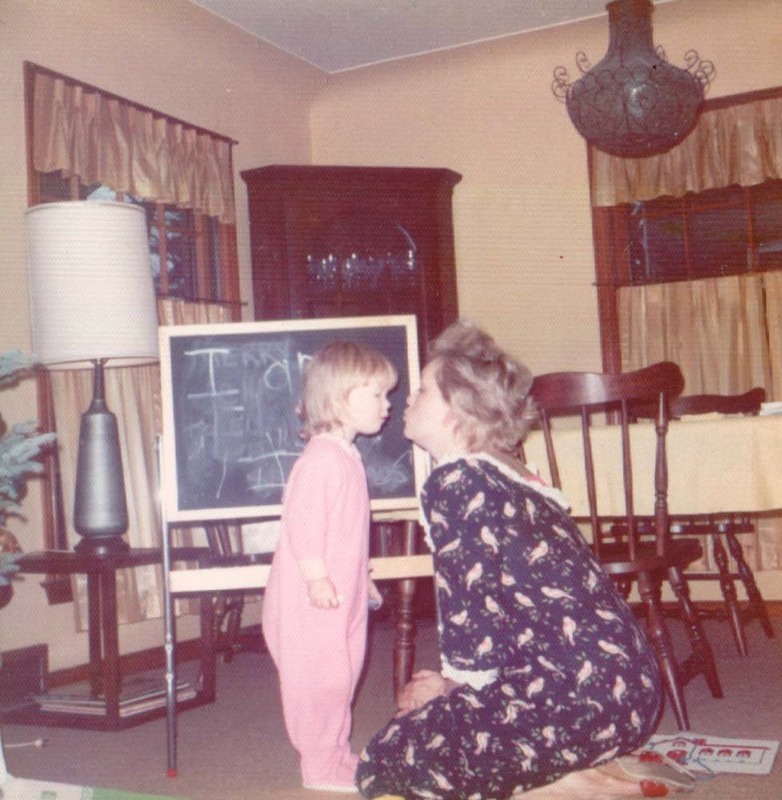 As I look at this picture, I clearly remember those pink birds on my mom's robe; except I remember them being so much bigger. I thought my mom looked so pretty when she wore it. I was born in '72 and my mom is always amazed at how much I remember from the 70s. I remember her aqua blue sweater...she wore it EVERYWHERE. The way she tied a scarf over her head when she had rollers in her hair. The "moo-moo" she wore around the house in the evening...it was gray with bright pink flowers. I remember making homemade ice cream with my dad on our patio. Riding the see-saw at the park...this was before my sister was born...so my imaginary friends rode with me, hehe. It's funny the things that stick with us.